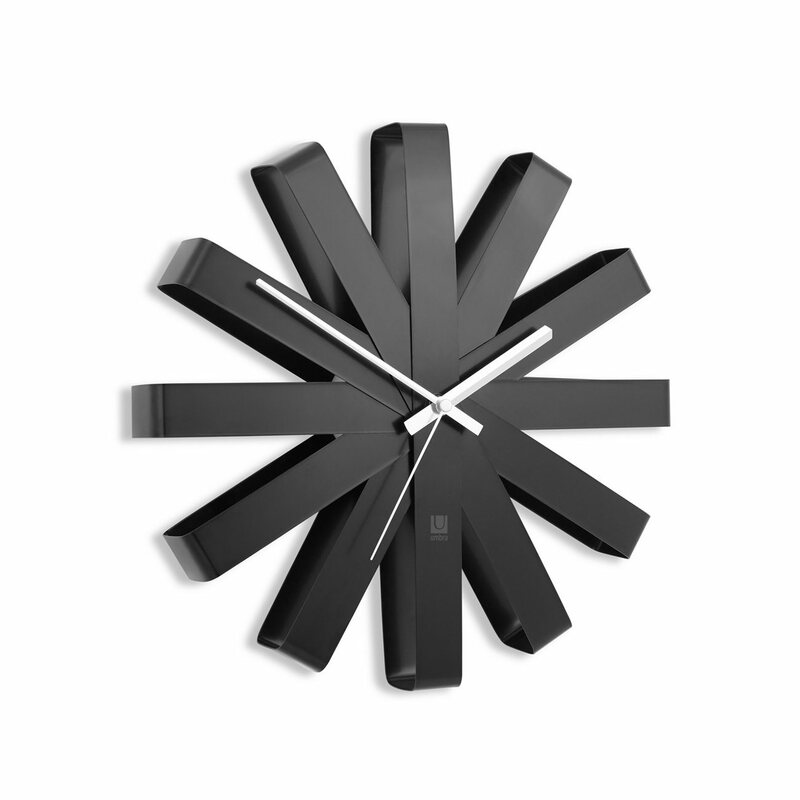 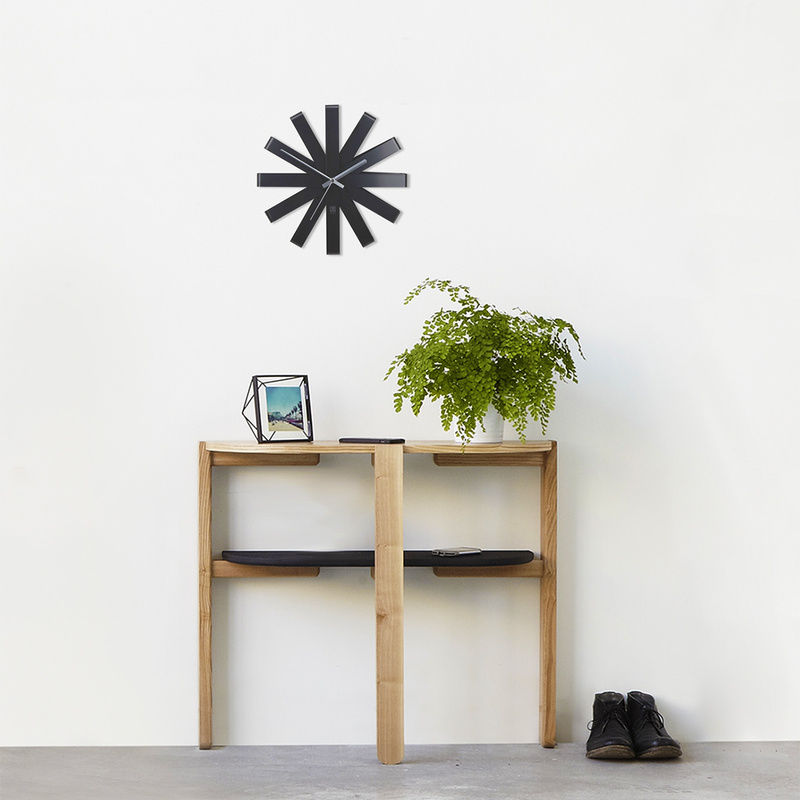 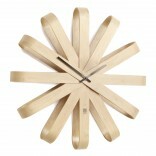 Transform a wall in your home or office with the totally unique Ribbon Clock by Umbra. 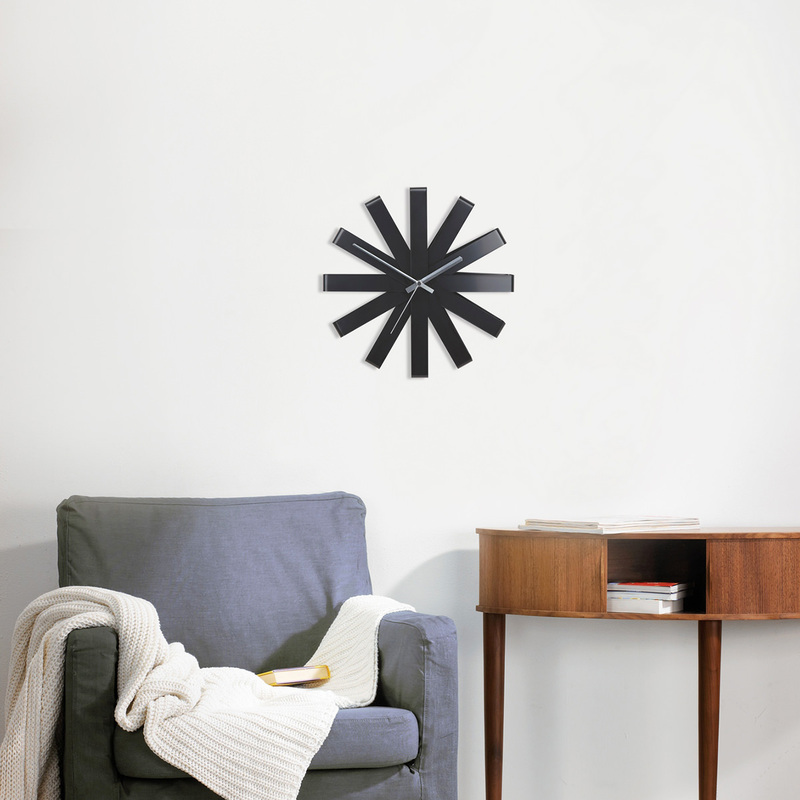 With a body formed from loops and folds of stainless steel strips, the Ribbon clock is a stunning clock that decorates with style any wall in your home. 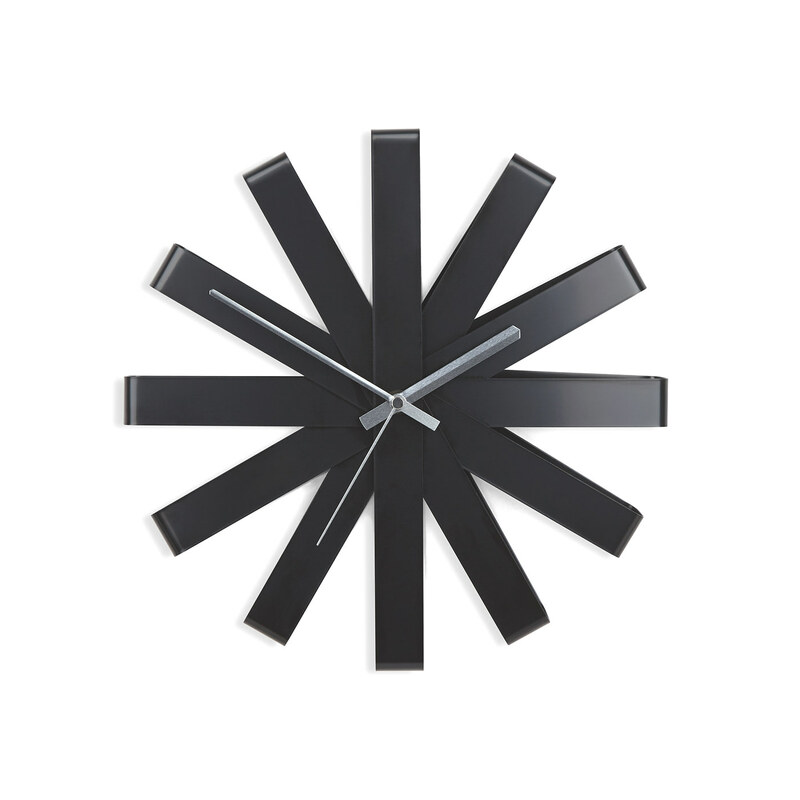 12" diameter x 2 1/4"
Color: Black with silver hands.